When it comes to choosing the right nail polish colors for the summer time, pastel colors as well as neon colors are always the most popular. And when it comes to choosing some interesting pattern, then the fruit nail designs always take the first place. Whether you love strawberries, kiwi, watermelon, pineapple, lemon or some kind of grape fruit, you can have one such inspired nail design. So, today we have chosen several Super Easy Fruit Nail Tutorials that you will love to try this summer. 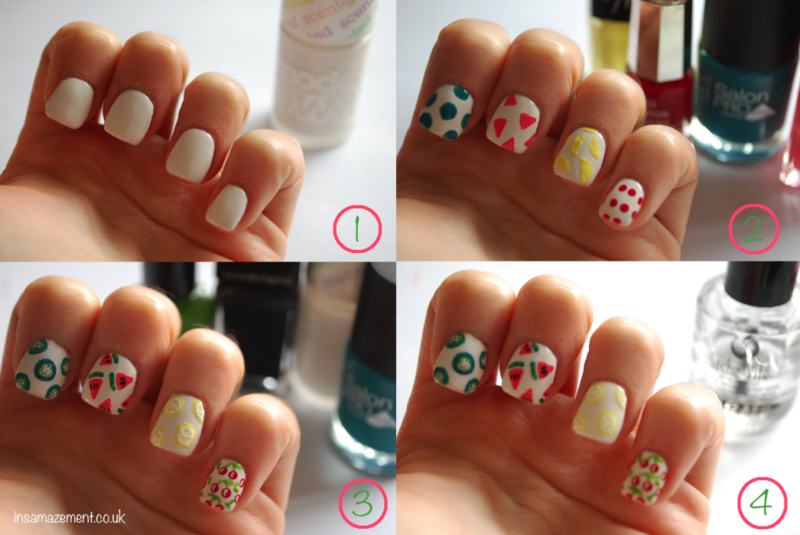 The following nail designs are really easy to be done, so you can do them by yourself. 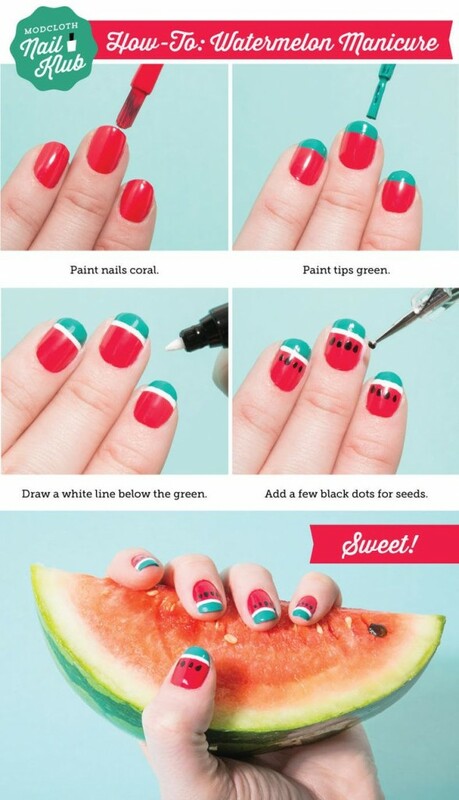 For instance if you want watermelon nail design, then you will need red, green and black nail polishes. First apply red nail polish as a base an then add green tips in the style of a French manicure. After that apply some black dots on the red base to represent the seeds and your watermelon nail design is done. 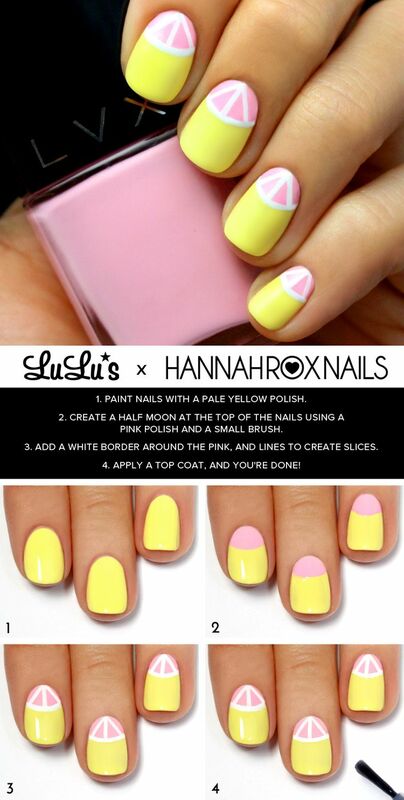 The same colors you can use to create a strawberry nail design. 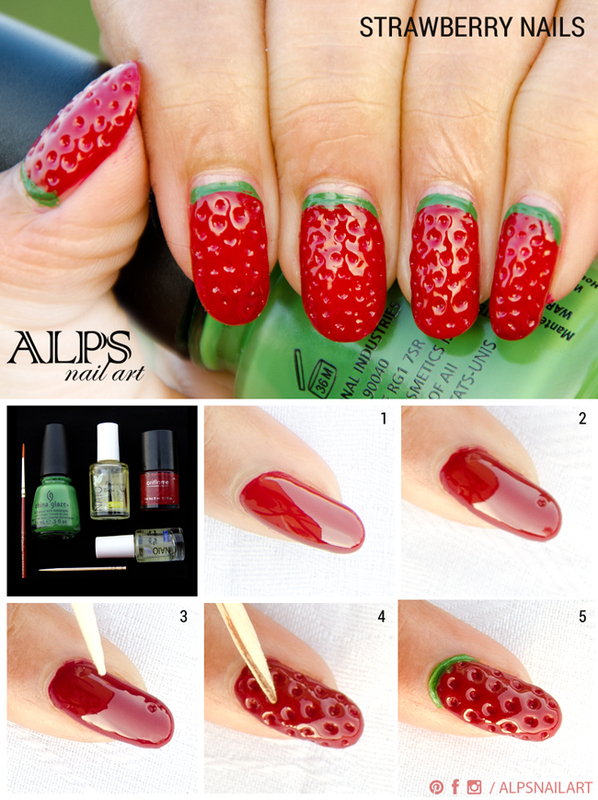 Red or maybe even pink, will be the base nail polish color and the green one will be the color to create the top of the strawberries. Finally you will add black dots for the seeds of strawberries. And if kiwi is your favorite fruit and you wan to have a kiwi nail design, then first apply green as a base and after that apply some white nail polish in the middle. 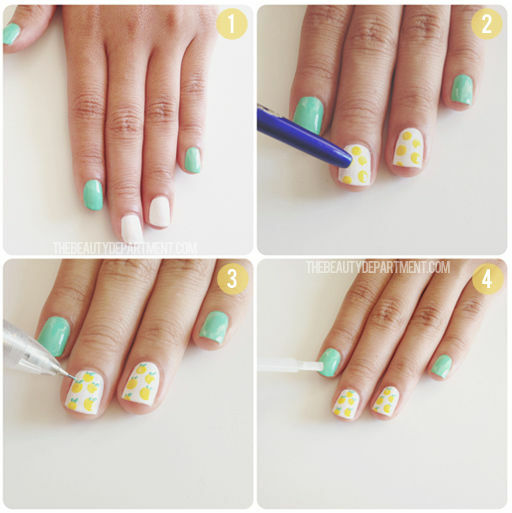 Add some black dots on the white surface and you are done with your fun kiwi nail design. Below we have included this type of nail designs as well as several others, including pineapple, grapefruit, lemon, strawberry and berry nail tutorials. Check them out and choose which one you will try first. Enjoy! The above fun fruit nail designs are really easy to be done and they are the perfect nail design idea for the summer time. 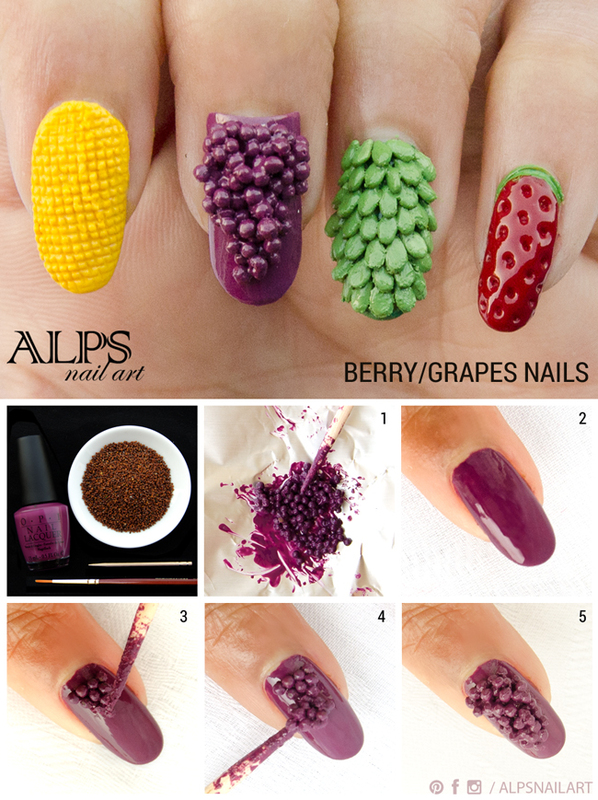 Just pick your favorite fruit, get the right nail polish colors and maybe some dotting tool and follow the steps precisely from the above step-by-step nail tutorials. You will have the perfect nail design without having to spend money and time on visiting a manicure saloon. Thank you for reading and don’t forget to stay up to date with the content of Women Fashion Tips to find other interesting step-by-step nail, makeup and hair tutorials.